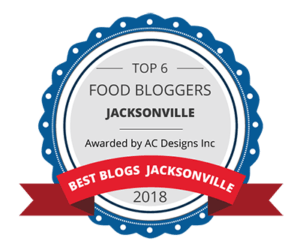 I am a Jacksonville Food Blogger and love it! I have been married for 12 years and have 5 fur babies-an English Bulldog, 2 Chihuahuas. and 2 cats. We love to go out to eat and enjoy finding new places. I was a very picky eater as a child, but as I grew older I realized that I was missing out on a lot of great foods, especially different cuisines. I love to go out and blog about new places in Jacksonville and to discover hidden gems. If you have any recommendations, I would love to hear them! You can contact me at SnackAndJill@gmail.com or leave a comment on this blog. I was a guest blogger on Taste Trekkers in 2014. Hi there! We were just checking to see if you received our invite to our upcoming Dunkin' Donuts holiday event?